Dr Birgitta Hosea is Course Director of the MA in Character Animation and Research Leader for the Centre for Performance at Central Saint Martins where she recently completed her practice-based PhD in animation as performance. 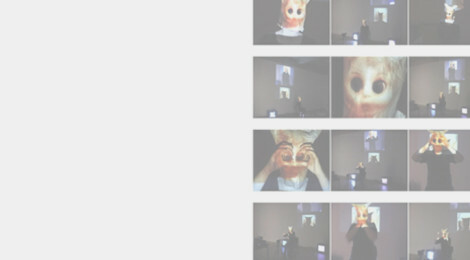 As well as exhibiting films, installations and live art, she has published articles on software, drawing, digital materiality, animation as performance and animation as post-medium practice. Her current research explores the creation of moving images as a performative process, in her video installation and performance works Birgitta Hosea combines a range of media – animation, manipulated video, paper sculpture, performance drawing, live video feeds and interactive technology – with the corporeal body. This has taken many forms including dressing up as a cartoon character, performing through online avatars, projecting animation onto herself or becoming a holographic projection. She describes her own practice as ‘post-animation’ (a term she has coined), because although she uses industrial animation techniques in conjunction with ideas from animation history and theory, she does not create animation as it is conventionally understood, but rather seeks to interrogate and de-construct conventional notions of what animation is. Her practice is informed by research into the archaeology of animation with a specific interest in Victorian stage illusions. ← NW/THN symposium & workshops_June 24_ registration open!